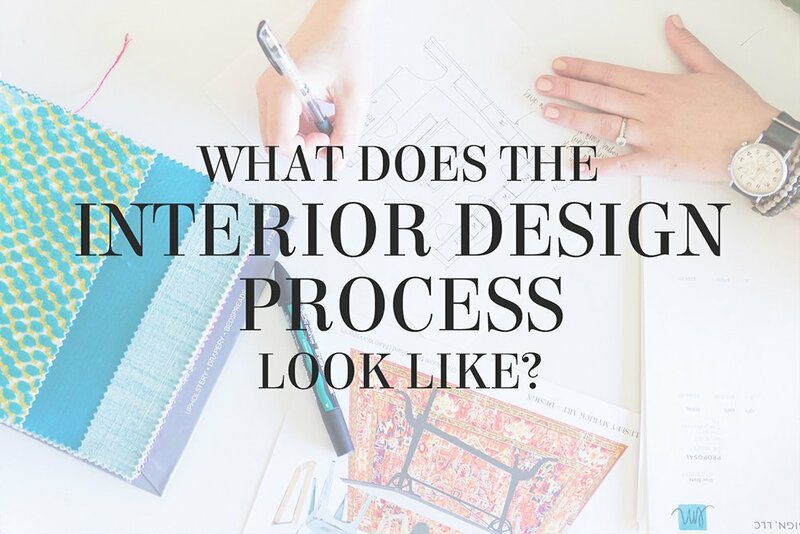 What Does the Interior Design Process Look Like? 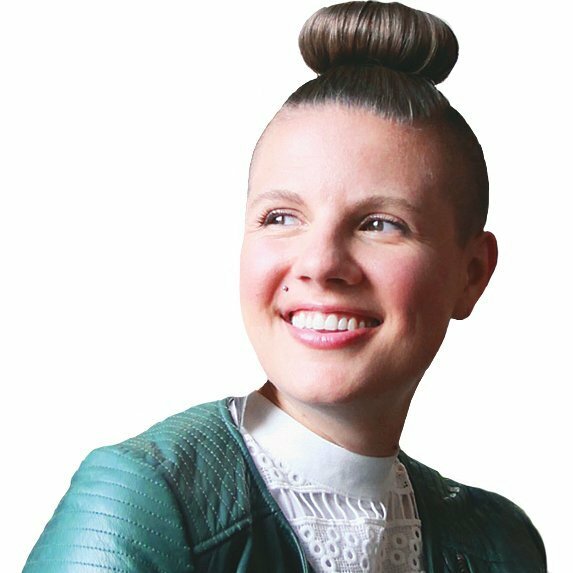 Get ready to nerd out with me – I’m gonna show you what the interior design process looks like. This is a question I get asked a lot, as the process can seem a bit mysterious if you’ve never worked with a designer before. There’s a little more involved with designing a home than just shopping, which is a misconception a lot of people have about interior designers. Don’t get me wrong. Yes, I do shop! And IT IS SO. MUCH. FUN. But “shopping” is just 1 of 10 steps in our design process – and we call it “sourcing”, not shopping. At Lesley Myrick Art + Design our design process happens in 3 phases: Design, Ordering, and Installation. 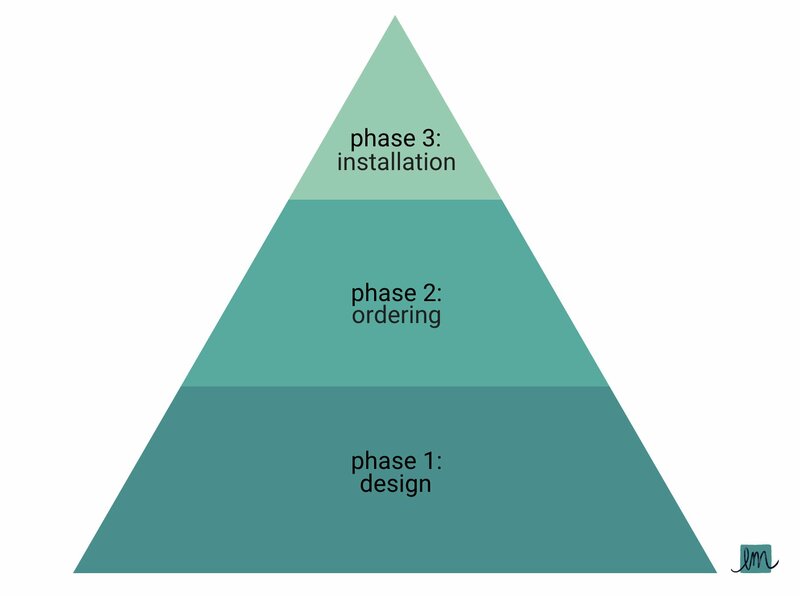 We’ve developed our Project Pyramid because most of the work – and investment – happens behind the scenes in Phase 1, just like the most heavily weighted part of a pyramid. During Phase 1 we do all of our design planning, drawings, sourcing, meeting with trades, etc. At the end of this phase (typically 6 weeks after our Design Jumpstart, which is our first in-person session) we meet to present the uhh-mazing design plan and collect payment to move forward. STEP 3: Design planning (aka. shopping! ), which includes creating plans, elevation drawings, sourcing furnishings, finishes, lighting, etc. In Phase 2, we handle ordering and tracking all of the items that we’ve proposed in the design phase that the client has approved and paid for. We partner with an awesome white-glove company who receives, unpacks, inspects for damage, assembles, and delivers every piece into place to the home. It’s a boutique service that’s worth every penny. You have no idea how much back-and-forth can go on behind the scenes with our vendors and delivery partners to make sure everything happens as it should! Phase 3 is where things really start to happen in the home. We start and supervise construction, deliver all the furniture, accessorize, and do a big reveal of the new, totally styled space. We’ll also bring in our photography crew, and last but not least, make sure any and all issues are resolved. That’s our whole interior design process in a nutshell, and it’s what we share with our clients in our Welcome Package. If you’ve never worked with a designer before, it might surprise you that there are 10 steps in the process! And in fact, behind the scenes we have the steps broken down into even further detail, so really, there’s like a million steps. Got a question about interior design – whether it’s about the business of interior design, or about a design dilemma in your own home? Email hello@lesleymyrick.com and we’d love to answer your question in a blog post or Facebook live video.